What we typically find in the literature pertaining to the survival hypothesis is an accumulation of evidence, consisting largely of testimonial claims, descriptions of the methods of their verification, and associated conclusions. And the conclusion most often drawn is that the survival hypothesis is the best explanation. But while many scholars firmly contend to have compelling evidence to prove “life after death”, I often feel misled by the corresponding lack of scientifically derived justifiable evidence and associated rationale to support this astonishing determination. All too often, this is the case in topic areas associated with life after death research as evidenced by the extraordinary controversial conclusions made by many researchers. After all, skepticism is incorporated in the scientific method. The scientific method integrates the observation of a phenomenon, the development of a hypothesis about the phenomenon, experimentation designed to demonstrate the truth (or not) of the hypothesis, and a conclusion that supports or amends the hypothesis. That is, a hypothesis becomes a fact when confirmed by strict scientific standards, which is of course, subject to challenge. So when we hear extraordinary claims of seeing and communicating with deceased relatives, having lived before this life, perceiving reality beyond the confines of one’s physical body, and experiencing another realm of existence during a period of no detectable brain activity, I say “great, prove it”. In other words, skeptical analysis of such claims serves as a necessary component to refining theories and initiating the continuation of related investigations to seek verification, or not, of experimental results and conclusions. The application of the scientific method, however, is likely impossible to adequately apply to test if the survival hypothesis is true or not since it lacks tangible, objective based evidence to study. A reliable, widely accepted test that can yield persuasive evidence in support of either outcome simply does not exist; that is, science lacks the required methodology needed to evaluate the concept of life after death. Yet, despite these significant limitations, the reported anecdotal and experimental research findings addressed prior are regarded by many as compelling evidence in support of this concept. ”Death “cannot exist in any real sense” … “when we die our life becomes a perennial flower that returns to bloom in the multiverse.”3 R. Lanza, physician and chief scientific officer at the Astellas Institute for Regenerative Medicine. “What we consider the here and now, this world, it is actually just the material level that is comprehensible. The beyond is an infinite reality that is much bigger which this world is rooted in. In this way, our lives in this plane of existence are encompassed, surrounded, by the afterworld already… The body dies but the spiritual quantum field continues. In this way, I am immortal.”4 H.-Peter Dürr, physicist and former head of the Max Planck Institute for Physics in Munich. Super-ESP or Life after Death? The survival hypothesis is primarily defended by the notion that consciousness can function while the body is clinically dead. And if consciousness is not of the body and of something else (e.g., Super-ESP), it is not surprising that some consider a form of mind– body dualism as authentic. This conclusion is based largely on the NDE evidence that involve veridical OBEs, i.e., lucid consciousness and perceptual capacities despite a severely compromised brain.12 According to the Super-ESP hypothesis, the primary argument against the survival hypothesis, during a conscious OBE, one’s telepathic ability enables the observation of events remote from the body. Extending this concept to the NDE, proponents of Super-ESP contend that one’s fear of dying facilitates their psychic ability to allow for veridical information to be obtained from the memories of living persons. Accordingly, this process “stimulates a hallucinatory experience that is incorporated into their NDE” which acts as an inherent psychological coping mechanism in the form of a “meeting with deceased spirits” that provides comfort when facing death.12a Consequently, the terror experienced awaiting impending death somehow triggers psychic events that mitigate fear in the form of palliative illusory perceptions. Thus, the Super-ESP refutes the NDE as evidence of life after death. Mediumship and reincarnation evidence, which imply that an individual may exhibit knowledge about the deceased have largely contributed to the Super-ESP/life after death debate. Some of the best examples are represented by mediumship evidence in which “drop-in” communicators provide accurate information about themselves which are later found to be true. Researchers who support the survival hypothesis also claim to have ruled out other hypotheses (e.g., Super-ESP, psycho-cultural, dissociative phenomena, rare cognitive skills, fraud, etc.) by arguing that they cannot adequately explain the apparent accurate knowledge some mediums and young children who claim to remember past lives exhibit. Psychologist S. Braude, who contends that mediums use exceptional psychic powers to gather information of the deceased from living witnesses (e.g., telepathy) or from documents (e.g., clairvoyance), has argued for cases sufﬁciently rich in detail as evidence to support the survival hypothesis, but believes no such evidence exists.13 I. Stevenson explained this issue succinctly by stating: “Since the [Super-ESP] theory assumes that discarnate personalities do not exist, it has to attribute motive for a particular mediumistic communication or apparitional experience to the subject. But evidence of such a motive is not always available, and we should not assume that one exists in the absence of such evidence.”6a M. Sudduth also argued that while ESP among the living is sometimes a component of mediumship evidence, it is not sufﬁcient to show that this is “Super-ESP at work or that nothing else is going on”.14 A similar position is held by D. Rousseau who remarked that, “The Super-ESP theorist may in fact be sympathetic to the ideas of dualism and/or survival, but I just don’t think that discarnate interactionism is the best explanation for the evidence suggestive of survival.”15 Such assumptions, which cannot be adequately tested using established scientific principles and accepted test protocol, make it impossible to interpret explanations of evidence in support (or not) of communication from the deceased with confidence. There exists a key question at hand which must be addressed to help explain the possibility of life after death. That is, do mediums who claim to communicate with the deceased, individuals who claim past-life experiences, and those who display extraordinary skills (e.g., child prodigies, speak a different language, or play a musical instrument, etc.) without prior knowledge or training, provide compelling evidence to reject the Super-ESP hypothesis and accept the survival hypothesis? According to the Super-ESP hypothesis, successful mediums obtain much of their information about deceased persons by somehow accessing and retrieving the memory of the living. However, since past experience from the brain’s coded representations of such experience is dependent on normal brain function, this widely accepted principle is challenged by those who consider that memory may exist after death of the body. The question, therefore, emerges as to how one can have conscious recall of a claimed past life if memory representations are dissolved along with the brain after death? Consequently, in the absence of post-mortem memory representations, how can mediums telepathically access the deceased? The Super-ESP hypothesis, therefore, is weak unless we assume that memory storage manifests not only in the brain but also externally to the brain, as some propose in the form of what is referred to as a collective unconscious memory bank, (i.e., the Akashic records, or “the mind of God”).16 The key questions advanced from mediumship and reincarnation evidence, therefore, is whether or not information about the deceased is accessed through either: a) Communication exchange with an aspect of consciousness associated with another body at an earlier period of time, which presently exists in an incarnated person, b) A memory trace of the deceased person’s life experiences, or c) The memory from the survival of the person’s consciousness? Since the validity of accurate past life reincarnation and mediumship evidence to support a living consciousness of the deceased is unconfirmed, the survival hypothesis is seriously challenged by the inadequacy of existing explanations of such questions. This similar concern may extrapolate to apparitional experiences, especially the collectively perceived crisis apparition. This “crisis” case, which is considered to be facilitated by the dying person who is its original, may also be produced by a “living person (one of the percipients) in response to extrasensorially acquired information about his death”.16a Cases of veridical apparitions of the dead have also been explained as a manifestation enabled somehow from the mind of a living person grieving about the referenced deceased person. 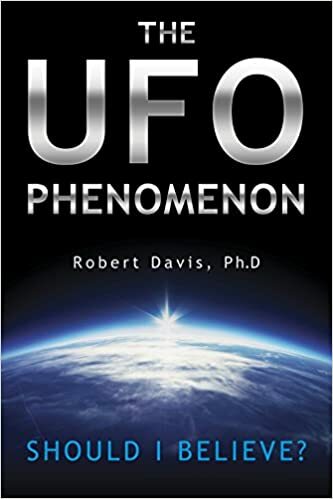 Psychical researcher F. Myers, however, considers this evidence to support the survival hypothesis since the creator of the apparition cannot be among the percipients of it. That is, the apparition is veridical to the extent that it “contains details and conveys information unknown to the witnesses, represents a person with whom they were not acquainted, and ostensibly pursues a goal which they do not consciously entertain, etc.”17 If Myers is correct, veridical postmortem apparitions are not created in the mind of the percipient since there is no person known to be thinking or grieving over the deceased. So, is it Super-ESP or life after death? <text> The theories and associated experiments in quantum physics, (e.g., law of entanglement, double-slit, non-locality, and the “observer effect”), concommitent with unexplained anecdotal evidence from studies in NDE, OBE, mediumship, past-life recall, apparitions, super-psi, among other phenomena, lend indirect evidence to support the concept that our consciousness may influence and give rise to various phenomena that seem to exist in the physical world. Theories developed from studies in quantum physics may provide the foundation to eventually explain the relationship between scientific principles, paranormal events, and the concept of life after death. The Holographic Concept of Reality: The “Holographic Concept of Reality”, first suggested by Miller, Webb and Dickson20 and advanced by many noted scientists21-26 considers the Universe as one dynamic holomovement—a grand Unity. In other words, there is a more fundamental reality represented by an invisible fluidity comprised of an inseparable interconnectedness of reciprocal patterns of meaningful information about the universe. More specifically, our universe instead of being a 3-dimensional spatial construct, is actually more like a holographic image built up by interacting vibratory waves, like colliding ripples on the surface of a pond. Within this context, some physicists suggest that the nature of reality is fundamentally analogous to that of a holographic projection associated with a form of 3D photography where objects to be photographed are illuminated by a laser beam; that is, lightwaves bouncing off the objects collide and form “interference patterns” which encode the spacial information about the illuminated objects. Consequently, any fragment of a holographic picture contains all the information to reproduce the entire original 3D scene, despite the fragment size. Thus, the term “holographic” refers to a condition where a fragment contains all of the information to reconstruct the whole of which it was a part. In this paradigm, all potential information about the universe is holographically encoded in the spectrum of frequency patterns constantly bombarding us. If so, reality may consist of embedded holograms which somehow gives rise to our existence and perceptual experiences. Related to this perspective are both the controversial Superstring Theory, which proposes the existence of an additional six dimensions beyond our 3-dimensional reality where the concept of other possible dimensions of existence arises27, and the Quantum Hologram Theory (QHT), which describes the universe as a self-organizing inter-connected conscious holistic system28. The most significant theoretical consideration of the Quantum Hologram Theory (QHT) is that at the subatomic scale of matter everything in the universe is interconnected; that is, all objects in the universe retain evidence of each event that has occurred to them which is stored in a holographic form that can be retrieved by the mind when it “attends” to an object.25a,31-34 The QHT, which allows for distinctions that occur in our consciousness, and those that can manifest on a physical scale, may provide the foundation for understanding how things interact with one another such as thoughts in telepathic experiments and consciousness with the brain. For example, if a person’s consciousness is shared with another in the QH field and they are in close contact throughout space-time, telepathy may occur (i.e., non-locality). In fact, many physicists apply the QHT to explain the nature by which the consciousness of the deceased may communicate with the living non-locally. Quantum Consciousness and Non-Locality: The apparent enigma with the concept of “consciousness” is that it is difficult to define and implicates many different things. According to the QHT, consciousness is an essential component of the universe, and all matter possesses subjective characteristics of consciousness (i.e., the foundation of everything). The QHT, which considers consciousness non-local in the same sense that quantum objects behave in a non-local manner, has potential significant implications for understanding death. In other words, upon death, we may no longer exist in space-time but instead behave outside the constraints of our 3-D space-time continuum. Despite the many unresolved questions associated with how the information of the QH may be transmitted over vast distances, many physicists such as Nobel Prize recipient E. Wigner are realizing the implications of quantum mechanics for possibly explaining the nature of life after death and anomalous events. For example, Wigner considers theories in quantum mechanics as proof of “the existence of “God” or some form of “cosmic consciousness”, while physicist and brain researcher C. Hellwig advocates that consciousness is a quantum state, and that “our thoughts, our will, our consciousness and our feelings show properties that could be referred to as spiritual properties”.35 Support for this complex notion may be evidenced, in part, by reported ESP experiments which tend to illustrate that “telepathy” is not affected by distance (outside space) and “precognition” which provides information of future events (outside time). Through extrapolation of such evidence, therefore, it may be possible for a characteristic of consciousness to remain unaffected by death and to continue to function, in some capacity, in some undefined realm of existence beyond our 3-D space-time continuum. The consistency of reported near death and out-of body experiences may be critical for understanding the relationship between the brain and consciousness. Although our current medical and scientific concepts are inadequate to explain all aspects of the NDE, however, certain features of an NDE/OBE appear to correspond with some of the basic principles from quantum theory, such as non-locality and entanglement or interconnectedness, and instantaneous information exchange in a timeless and placeless dimension. The perplexing aspect of the NDE/OBE, concommitent with the experimental results in non-local intuition, also suggests that our consciousness may be separate from our physical body and capable of affecting events remote from our body. More specifically, if sensory information processing is in fact “non-local” it may explain the reported altered perception and the life review and images often described as a dimension without time and space associated with an NDE/OBE. If both M. Johnson’s and her mother’s account represent accurate details of their experiences, the existence of a duplicate “astral” body as a vehicle for an aspect of her consciousness or product of it, cannot be entirely dismissed. This evidence, which lacks verification, tentatively suggests that the instrument required for our surviving “I” (i.e., memories, personality, etc.) manifests in an “astral” secondary body whose manner and nature of function have yet, if ever, to be realized. If we extrapolate this evidence to the apparitional phenomenon of the dead and of living projectors, one may infer that apparitions of both the living and dead represent the same “astral” vehicle for one’s consciousness. Accordingly, the S.U.M, QHT, and ZPF, among other theories within quantum physics, have the potential to explain the reported connection between one’s own consciousness and that of other living persons or deceased relatives. This relationship has drawn the attention of several well respected scientists such as astrophysicist R. Schild who proposed that, “consciousness exists in our space-time and constrains our waking perception”.24a Schild and Leiter provided additional support to the potential infinite capacity of our universe to store “quantum holograms”, by the existence of “black holes” (i.e., “super-dense, massive, collapsed, evolved stars and galaxy-center quasars”).24b Because of its’ “relativistically-continuous contraction and continuous acquisition of more mass”, they contend that “black holes” may function as “nature’s hard-drives”, holding copies of the quantum holograms generated by each new moment of human experience, as well as by each new event which occurs to non-living objects.38 Related to this concept is the perspective held by cardiologist P. Lommel who stated, “It seems to be possible to have a non-local connection with other people’s consciousness as well as with thoughts and feelings of deceased friends and family and to communicate with them by way of thought transfer.”39 The implications of these yet, if ever, to be confirmed perspectives, may hold the key to the many mysteries of our time, especially life after death. Physiological evidence to support the theory that the brain operates like a hologram, and that memory and visual perception are governed by the holographic principle, was provided by neurosurgeon K. Pribram, who showed that even without most of the brain, organisms can function almost normally. His research in cats, for example, demonstrated their continued ability to perform complex visual tasks despite a loss of 90 percent of the primary visual cortex.55 A similar result was obtained by neuroscientist R. Galambos, who severed up to 98 percent of the optic tract of cats without seriously impairing the cats “ability to perform skillfully on tests requiring them to differentiate between highly similar figures”.55a One theory to explain such maintained normal functioning is related to the recovery of memory from a brain even after much of it has been destroyed. This is based on the notion that a hologram contains the entire image, in this case the entire memory. According to C. Swanson, this effect is “consistent with the holographic structure of the brain”, which allows for “the direct and instantaneous communication of images and other anomalies which occurs in paranormal events”.37f Supportive evidence for this aspect of function has also been advanced in the form of competent mental functioning in those with severely compromised brain function. This has been documented in approximately 50 cases of so-called “terminal lucidity” where mental abilities are restored before death despite severe brain disorders in those with Alzheimer’s and schizophrenia56,57; about 80 cases of normal cognitive function despite severe brain developmental disorders such as hydroenencephaly58-60; and cases of serious brain degeneration without associated cognitive deﬁcits61. The question remains, therefore, if normal function in severely compromised physiological states, as in those who report an NDE, may be facilitated by holographic based brain and associated DNA activity? And, if so, what are its’ possible implications for the continuity of consciousness and memory after death? If we assume that one’s consciousness somehow survives physical death, then where and how does it exist, and what principles may explain the nature which regulates its’ continued functioning? And if an aspect of one’s personality continues on, that aspect must not have been entirely dependent on normal brain function since the brain, once functional, ceases at some point in time. Consequently, to prove there is a form of life after death, there must be irrefutable evidence that a form of consciousness operates independently of the brain. Despite the absence of supporting evidence, numerous scientific concepts have been advanced to support their independence (e.g., quantum physics, psychic factors and Super-ESP, the collective unconscious, quantum brain activity and DNA, holographic principles, the Multiverse, among others). Or is the popular notion that a second “astral” body (i.e., consciousness, soul, or spirit), which operates at a higher vibrational frequency, persists after physical death? We can only conjecture if this non-local aspect of one’s consciousness, personality, and memory exists, or maybe the abstract answer is that it just “is” and persists through a vacuum where there is no time or space within an intradimensional reality. The scientific approach to the concept of life after death should be a required methodology for research in reincarnation, mediumship, NDE/OBE, apparitions, consciousness , and quantum physics, among others, which could enhance its relevance and potential implications. Although associated hypotheses have been advanced to explain the nature of past life evidence and associated phenomena, there remains no consensus within the scientific community about the nature of such events, nor the possible functional mechanisms of human consciousness that could be responsible for such phenomena and persist after death. An inherent factor that impedes our further understanding of such elusive concepts is that the survival hypothesis fails to define exactly what criteria are needed to delineate the essential features of whatever it is that may survive death. The most significant argument against accepting the survival hypothesis is that the evidence represents a form of Super-ESP among the living. And if valid, it would imply that some characteristic of a deceased person may exist which can affect our consciousness. This may explain how people report experiencing a deceased personality in the form of apparitions, NDEs, after death communication, mediumistic communication, and past-life recall, etc. And if such a characteristic of the deceased can somehow be experienced, we can only speculate as to what form of energy and associated principles of operation it is that interrelates with one’s consciousness. That is, communication may be either occurring with the mind of a present person and not with the deceased, or alternatively, discarnate souls can via their psychic abilities interact with the living and physical world. Even if one accepts that the survival hypothesis is supported by the present evidence of the observed phenomena, many issues remain ambiguous, unresolved, and complicated by existing evidence which can be interpreted as a convincing case either for or against some form of survival. Since the general life after death related evidence is largely based on anecdotal testimony, it is very difficult to either reject or confirm this hypothesis through a validation process. The problem is that the approaches used have not consistently conformed to the expected scientific method and standards routinely applied by research scientists. The evidence presented, therefore, cannot sufficiently explain and justify the continuity of consciousness after death. 1. Stuart Hameroff, “Quantum Coherence in Microtubules: A Neural Basis for Emergent Consciousness?” Journal of Consciousness Studies 1 (1994): 98. 2. Henry P Stapp, “Bell’s Theorem and World Process.” Nuovo Cimento 29 (1975): 270. 3. “Robert Lanza”, Accessed August 18, 2016, http://www.robertlanza.com/. 5. Gary Schwartz, The Afterlife Experiments: Breakthrough Scientific Evidence of Life after Death. (New York, N.Y: Atria Books, 2002). 6. Ian Stevenson, C. Tart and M. Grosso, “The Possible Nature of Post Past Life Memory Case Studies: A Discussion.” Journal of the American Society for Psychical Research 74 (1980): 413. 7. “Quotes about Afterlife,” Accessed August 3, 2016, www.goodreads.com/quotes/tag/afterlife. 8. “Famous Quotes on Reincarnation,” Accessed August 14, 2016, www.reversespins.com/famousquotes.html. 9. “I Cannot Conceive of a God who Rewards and Punishes,” Accessed August 3, 2016, www.goodreads.com/quotes/894329-i-cannot-conceive-of-a-god-who-rewards-and-punishes. 10. “Stephen Hawking: There is No Heaven,” Accessed August 4, 2016, www.theguardian.com/science/2011/may/15/stephen-hawking-interview-there-is-no-heaven. 11. Carl Sagan, Billions and Billions: Thoughts on Life and Death at the Brink of the Millennium. (New York, N.Y: Ballantine Books, 1998). 12. Dean Radin, Entangled Minds. (New York, N.Y: Paraview, 2006). 13. S. Braude, Distant Mental Influence: Its Contributions to Science, Healing, and Human Interactions. (Newburyport, MA: Hampton Roads Publishing, 2003). 14. Michael Sudduth, “Super-Psi and the Survivalist Interpretation of Mediumship.” Journal of Scientific Exploration 23 (2009): 167. 15. David Rousseau, “Near-Death Experiences and the Mind–Body Relationship: A Systems Theoretical Perspective.” Journal of Near-Death Studies 29 (2011): 399. 16. “Mediumship and Survival: A Century of Investigations: Alan Gauld,” Accessed August 12, 2016, www.esalen.org/ctr-archive/mediumship.html. 17. F. W. Myers, Fragments of Inner Life. (London, UK: Society for Psychical Research, 1961). 18. Menas Kafatos, Rudolph E. Tanzi and Deepak Chopra, “How Consciousness Becomes the Physical Universe.” Journal of Cosmology 14 (2011). 19. Fred Alan, The Spiritual Universe: One Physicists Vision of Spirit, Soul, Matter, and Self. (Portsmouth, NH: Moment Point Press, 1998). 20. R. Miller, B. Webb and D. Dickson, “A Holographic Concept of Reality.” Psychoenergetic Systems Journal 1 (1975): 55. 21. Ken Wilbur, Introduction. in Quantum Questions: Mystical Writings of the World’s Great Physicists: ed. K. Wilbur. Boston, MA: Shambhala, 1984. 22. Roger Penrose, The Emporer’s New Mind. (New York, N.Y: Oxford Press, 1989). 23. M. Kafatos, “Cosmos and Quantum: Frontiers for the Future.” Journal of Cosmology 3 (2009): 511. 24. Rudy Schild and D. Leiter, “Black hole or MECO? : Decided by a Thin Luminous Ring Structure Deep within Quasar.” Journal of Cosmology 6 (2010): 1400. 25. Edgar Mitchell, “Nature’s Mind: The Quantum Hologram.” International Journal of Computing Anticipatory Systems 7 (2000): 295. 26. Karl Pribram, Brain and Perception: Holonomy and Structure in Figural Processing. (Hilldale, New Jersey: Lawrence Erlbaum Associates Publishers, 1991). 27. “Quantum Enigma,” Accessed July 23, 2016, http://quantum enigma.com/nutshell/notable-quotes-on-quantum physics/? 28. Edgar D. Mitchell and Robert Staretz, “The Quantum Hologram and the Nature of Consciousness.” Journal of Cosmology 14 (2011): 84. 29. “Spiritual Cosmos,” Accessed August 23, 2016, http://spiritualcosmos.com/index.php?option=com_content&view=article&id=68:scientists-who-support-the-idea-of-a-spiritual-cosmos&catid=25:theories&Itemid=53. 30 “Richard Feynman,” Accessed July 12, 2016, www.goodreads.com/author/quotes/1429989.Richard_Feynman. 31. “The Quantum Mind of Stuart Hameroff,” Accessed July 14, 2016, http://dailygrail.com/Interviews/2005/1/Quantum-Mind-Stuart-Hameroff. 32. “Consciousness and the New Physics,” Accessed July 13, 2016, http://www.williamjames.com/Theory/PHYSICS.htm. 33. P. Marcer, “Status of the Mission.” Cybernetic Machine Specialist Group: British Computer (2004). 34. P. Marcer and E. Mitchell, What is consciousness? in The Physical Nature of Consciousness: ed. P. van Loocke. Philadelphia, PA: John Benjamins, (2001). 35. “Consciousness Lives in Quantum State after Death,” Accessed August 12, 2016, www.outerplaces.com/science/item/4518/physicists-claim-that-consciousness-lives-in-quantum-state-after-death Physicists Claim that Consciousness Lives in Quantum State After Death. 36. L. Dale, R. White and G. Murphy, “A Selection of Cases from a Recent Survey of Spontaneous ESP Phenomena.” Journal of the American Society for Psychical Research 56 (1962): 3. 37. Claude Swanson, The Synchronized Universe: New Science of the Paranormal, (New York, N.Y: Poseidia Press, 2003). 38. Paul Bernstein, Rudolph Schild, Metod Saniga, Petr Pracna, Luboš Neslušan and Kala Perkins, “Non-Locality, Cognition, and Cosmic Structures.” Journal of Cosmology 14 (2011): 214. 39. Pim Van Lommel, Consciousness Beyond Life: The Science of the Near-Death Experience. (New York, N.Y: HarperOne, 2010). 40. H. P. Stapp, The Mindful Universe: Quantum Mechanics and the Participating Observer. (Heidelberg: Springer-Verlag, 2007). 41. Stuart Hameroff, “Quantum Coherence in Microtubules.” Journal of Consciousness Studies 1 (1994): 98. 42. Johnjoe Mcfadden and Jim Al-KhaliliCrown, Life on the Edge: The Coming of Age of Quantum. (Kindle Edition: Biology Crown Publishing, 2015). 43. Danah Zohar, The Quantum Self. (New York, N.Y: William Morrow, 1991). 44. William Tiller, Subtle Energies and their Roles in Bioelectromagnetic Phenomena. in Bioelectromagnetic Medicine: ed. P. Rosch. New York, N.Y: Dekker, 2004. 45. S. Berkovich, “On the Information Processing Capabilities of the Brain: Shifting the Paradigm.” Nanobiology 2 (1993): 99. 46. H. Romijn, “About the Origin of Consciousness. A new, Multidisciplinary Perspective on the Relationship between Brain and Mind.” Proc Kon Ned Akad v Wetensch 100 (1997): 181. 47. “Consciousness,” Accessed July 10, 2016, http://www.outerplaces.com/science/item/4518-physicists-claim-that-consciousness-lives-in-quantum-state-after-death. 48. M. Ridlel, Genome. The autobiography of a species in 23 chapters. (New York, N.Y: Harper Collins Publishers, 2000). 49. “A Note on Science and NDE,” Accessed July 24, 2016, www.nderf.org/NDERF/Research/Berkovich.htm. 50. E. Schrödinger, What is Life? (Cambridge, UK: Cambridge University Press, 1944). 51. “Quantum computing in DNA,” Accessed July 24, 2016, http://www.consciousness.arizona.edu/hameroff/New/ Quantum_computing_in_DNA/index.htm. 52. Pim Van Lommel, “About the Continuity of Our Consciousness.” Adv Exp Med Biology 550 (2004): 115. 53. “Science Is Proving Some Memories Are Passed Down from Our Ancestors,” Accessed July 18, 2016, http://reset.me/story/science-proving-memories-passed-ancestors/. 54. “Russian DNA Research,” Accessed July 8, 2016, www.psychicchildren.co.uk/4-3-RussianDNAResearch.html. 55. “Our Holographic Brains,” Accessed August 2, 2016, http://www.atlanteanconspiracy.com/2013/02/our-holographic-brains.html. 56. M. Nahm and B. Greyson, “Terminal Lucidity in Patients with Chronic Schizophrenia and Dementia: A Survey of the Literature.” The Journal of Nervous and Mental Disease 3 (2009): 942. 57. M. Nahm, B. Greyson, E. W. Kelly and E. Haraldsson, “Terminal Lucidity: A Review and a Case Collection.” Archives of Gerontology and Geriatrics 4 (2011): 31. 58. D. Baudoin, “Curious Dissociation between Cerebral Imaging and Clinical Findings.” The Lancet 347 (2006): 965. 59. L. Feuillet, H. Dufour, and J. Pelletier, “Brain of a White-Collar Worker.” The Lancet, 370 (2007): 262. 60. E. Berker, G. Goldstein, J. Lorber, B. Priestley and A. Smith, Reciprocal Neurological Developments of Twins Discordant for Hydrocephalus.” Developmental Medicine and Child Neurology 34 (1992): 623. 61. L. Melton, “How Brainpower Can Help You Cheat Old Age.” New Scientist (2005): 2530. 62. Hugh Everett, “Relative State Formulation of Quantum Mechanics.” Reviews of Modern Physics 29 (1957): 454. 64. “Biocentrism: Robert Lanza Theory of Everything,” Accessed July 20, 2016, http://www.robertlanza.com/biocentrism-how-life-and-consciousness-are-the-keys-to-understanding-the-true-nature-of-the-universe/. 65. “Scientists Claim That Quantum Theory Proves Consciousness Moves To Another Universe At Death: Steven Bancarz,” Accessed July 23, 2016, www.spiritscienceandmetaphysics.com/scientists-claim-that-quantum-theory-proves-consciousness-moves-to-another-universe-at-death/. 66. John Bockris, The New Paradigm: A Confrontation Between Physics and the Paranormal Phenomena. (New Energy Foundation, 2013). 67. Stephan Hawking, The Grand Design. (New York, N.Y: Bantam, 2012). 68. Stephen Hawking: Space and Time Warps,” Accessed August 23, 2016, www.hawking.org.uk/space-and-time-warps.html.